Hello everyone! 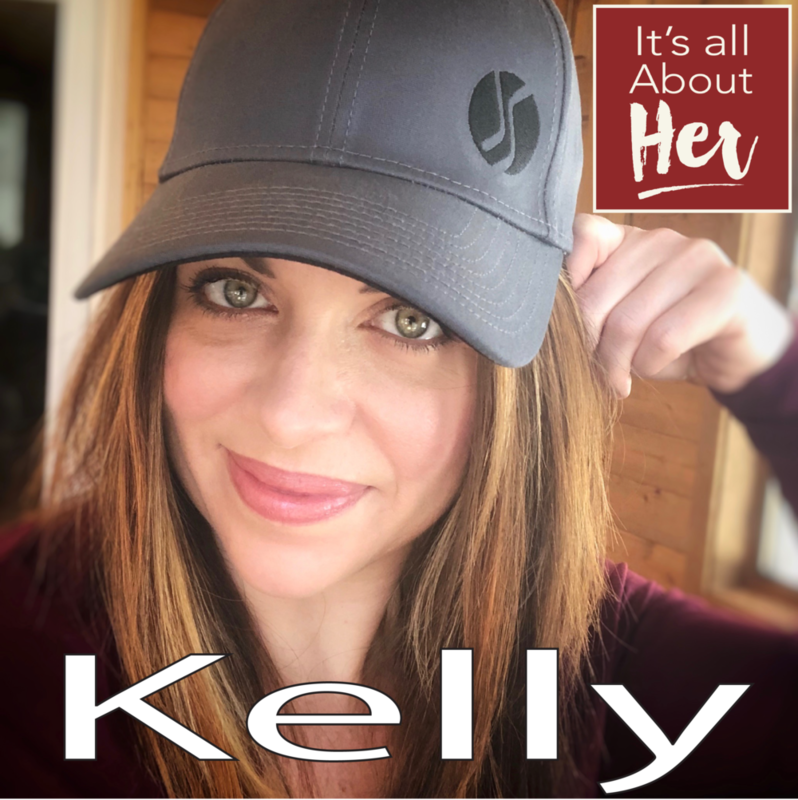 In this episode of It’s All About Her, you meet Kelly ODonnell, Founder, CEO, Boss Lady, Head Honcho, Woman in Charge, etc, etc… Mainly she answers to MOM. Her business is GoodWood Hockey and she is blowing it up. She was highly successful in her former corporate healthcare career and if I were a betting man, which I am, I would bet she will be even more successful with GoodWood Hockey! Kelly is passionate and does not seem to have an ounce of doubt that she will get this done! I had a great time talking with HER and I hope you enjoy the conversation! Hello everyone! In this episode of It’s all about Her, you meetRa’eesa Motala, she is one of the Co-Founders of Minneapolis based Femme Obsessed, she runs a consulting agency called Noise M8kers. Ra’eesa is also the first female President for the Twin Cities Film Festival Board of Directors. She sits on the 2020 Steering Committee for Minneapolis and is an advocate for girls in tech and entrepreneurship. Not to mention her day job, which she is the only female broker in her commercial real estate office. I had fun learning about this very busy woman and I hope you enjoy the conversation! Hello everyone! In this episode of It’s all about Her, you meet Katie Stellar, Owner of Steller Hair Company. Katie is much more than just a business owner, she is a person that wants to make the world a better place and she does! In the spirit of doing good she started The Steller Kindness Project. Katie was a return guest and it was great catching up with HERand I hope you enjoy the conversation! Hello everyone! 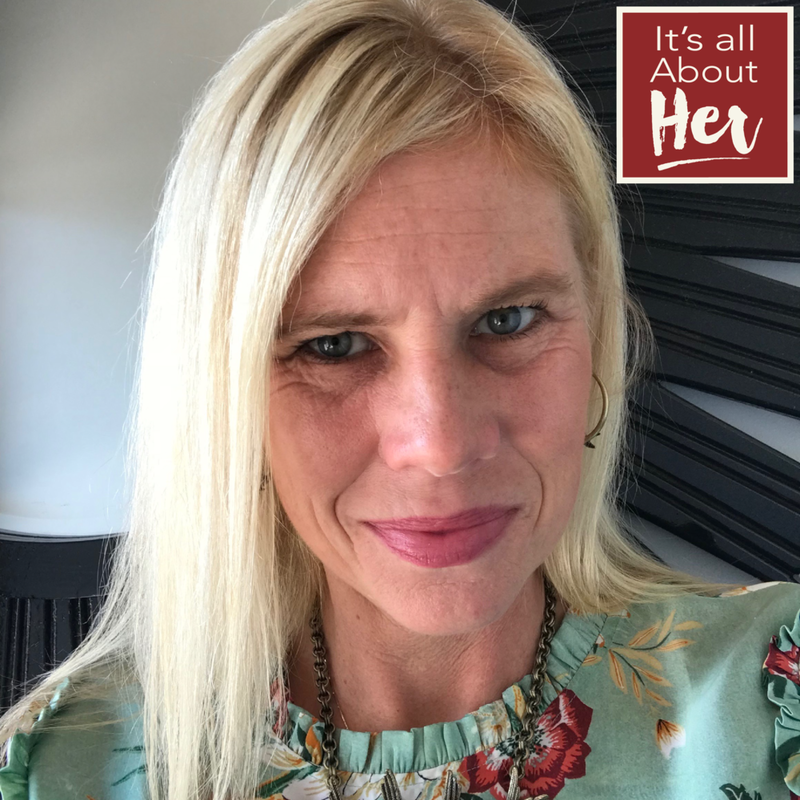 In this episode of It’s all about Her, you meet Rebecca Gebhardt, Co-Founder of Support Her Endeavors. Support Her Endeavors is where women go to find other women to share their challenges of being a woman in business. We also get into the Rodan + Fields brand, which their skincare happens to be #1 in the US. Rebecca shares lots of interesting stories about her journey. I had a great time talking with HER and I hope you enjoy the conversation! Hello everyone! In this episode of It’s all about Her, you meet Sue Kakuk, Owner/Founder/CEO, of Kakookies. Kakookies are a Vegan, Gluten-Free, Dairy-free, Egg-Free, Soy- Free and delicious cookie! Sue, who is a two time Pillsbury Bake Off finalist shares with us what inspired her to start this yummy business. I had a great time talking with HER and I hope you enjoy the conversation! Hello everyone! 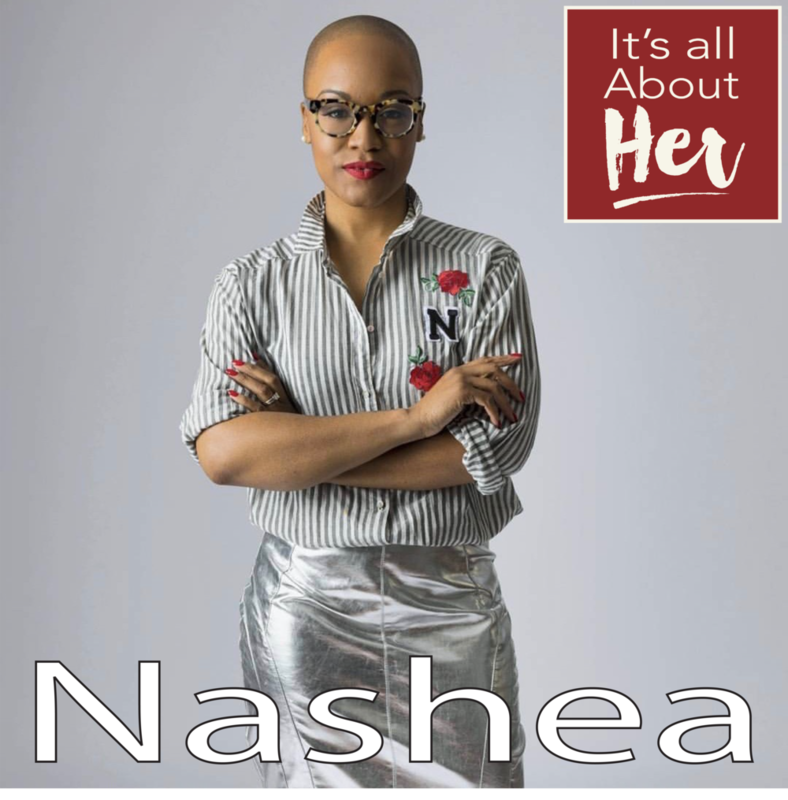 In this episode of It’s all about Her, you meetNashea Tucker, the creator and owner of Simply She is Style. Simply She is Style is where you go for all things fashion and style. Nashea’s motto is “Don’t just look good, feel good too,” she strives for a healthy mind, body and soul. I had a great time talking with HER and I hope you enjoy the conversation! Hello everyone! In this episode of It’s all about Her, you meet Andrea Bonhiver, the creator of Bon Design. Bon Design is an innovative, creative, and enthusiastic design company. Andrea is full of energy and great ideas. She designed the Her Spirit logo for us and continues to help shape our brand. I had a great time talking with HER and I hope you enjoy the conversation! Hello everyone! 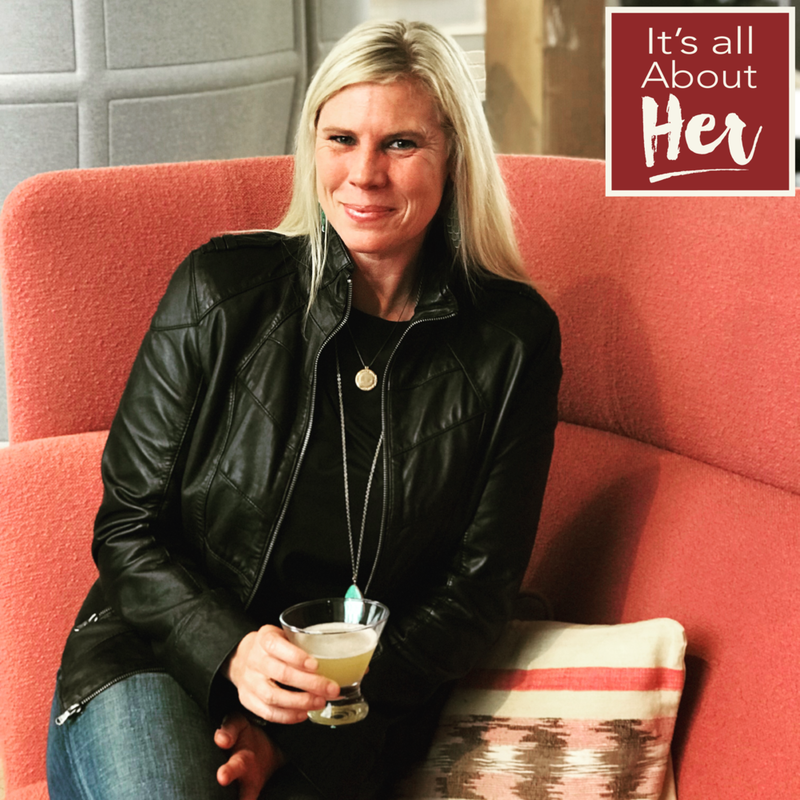 In this episode of It’s all about Her, you meetLucy Stange, the Founder of My Social Drive. My Social Drive is a one stop shop for all your social media and content photography needs. Lucy is very interesting and I had a great time talking with HER, I hope you enjoy the conversation! Hello everyone! In this episode of It’s all about Her, you meet Nicole Brown, the proud founder and owner of Nickichicki. Nickichicki is not your typical knitwear company, NickiChicki is all about color, style and fun. Nicole shares her journey of starting her knitting company and how much fun she is having all along the way. I had a great time talking with Nicole and I hope you enjoy the conversation! Hello everyone! In this episode of It’s all about Her, you meet Serena Tittl, the founder of Collective Market. Collective Market is a seasonal resale pop-up shop affectionately nick named “The love child of a closet and pop up shop”. She shares her passion for design and explains how she created this business to fulfill that joy of design and fashion. We learn that she had a passport at 6 months old and loves to travel, and much much more.I had a great time talking with Serena and I hope you enjoy the conversation! Hello everyone! In this episode of It’s all about Her, you meetSusan Elwer, the owner and founder of Hand’s and Feet. Hands and Feet is a business that designs retail and corporate apparel and accessories with inspiring messages to motivate and encourage. 50% of their profits are given to local, non-profit organizations who are working to end childhood hunger in the United States. We learn a lot about Susan and her mission. I had a great time talking with HER and I hope you enjoy the conversation!